Gluten intolerance should always be managed under medical supervision, but alternative treatments may help with pain and quality of life in gluten allergy sufferers. According to classic Indian medicine, a gluten allergy can be seen as an imbalance in the mind-body. There are different combinations of mind-bodies, known as dosha. 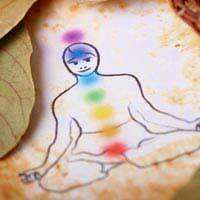 Each of us has a combination of dosha made up of vata, pitta and kapha but one element will usually be predominant and if one of the three elements does get out of balance, it will affect behaviour and even general health. Pitta dosha vitiation (weakness) is seen as one of the main causes of gluten reactions and a range of traditional medicines, based on Indian herbs, are used to treat it. The herbs have two effects – pacifying the symptoms of the allergy and – according to Ayurveda – removing the imbalance and so correcting the allergy. All of these are herbs that improve digestive function and the efficiency of digestion. During the period of treatment, other forms of internal purification may be overseen by an Ayurvedic doctor. Another herb, Triphala, which is classed in Ayurveda as an ‘alkalyzer’, is actually claimed to correct the allergy itself although there is no peer reviewed scientific research to substantiate this claim, as yet. Triphala has been the subject of substantial research in recent years, and in 2006 a team at the Radiation Biology and Health Sciences Division, Bhabha Atomic Research Centre, Mumbai, reported that Triphala could induce cytotoxicity (cell death) in tumour cells but not in normal cells in a cancer. Similarly, a 2005 report in the Journal of Experimental and Clinical Cancer Research from the Radiation and Cancer Biology Laboratory at Jawaharlal Nehru University claimed Triphala could reduce tumour incidences and boost antioxidents. In all cases, the Ayurvedic treatment period needs to be combined with a the gluten free diet throughout the treatment period. Many people who have been diagnosed with gluten intolerance go on to have acupressure or acupuncture treatment, usually as a system of pain management rather than to treat their allergy. Traditional Chinese Medicine suggests that illness is a symptom of a lack of balance in the body and mind as a whole, and that treating symptoms will not solve the problem – rather, a holistic approach to ensuring the flow of energy round the body is needed and acupressure/acupuncture are both used to release blocks in the Chi (energy flow) of the physical form, whilst other treatments from herbal remedies to meditation are used to treat the mind and emotions. This view says that almost no allergies are congenital – in other words, individuals are not born with an allergy to wheat or peanuts or any other food. Instead, they develop such intolerances as a result of imbalances in energy flow or digestive disharmony. Ren 12 which is a major locus found just above the navel. Unblocking these points encourages the flow of energy. Further acupuncture points may be used to manage the pain and bloating that result from gluten allergies and these will be specific to each individual. It is suggested that around a dozen treatments may be needed to see results.